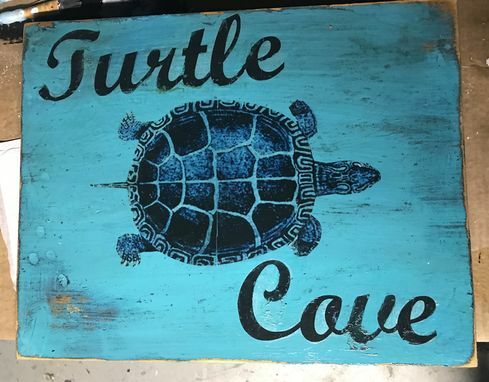 This turtle cove sign is created from vintage wood. It is made to look like a road side sign that might direct you to a place near the beach or a lake. It is distressed to look as old as the wood it is on. It measures approximately 14 inches x 20 inches and has a wire hanger on the back. Feel free to adjust the size or wording, even the color, just let me know. If there's a price difference I will let you know. I try to evoke a sense of times past with colorful, fun signs from vintage and retro graphics as well as my own art work and ideas. The search is always on for old, discarded drawers and cupboards that have a history. 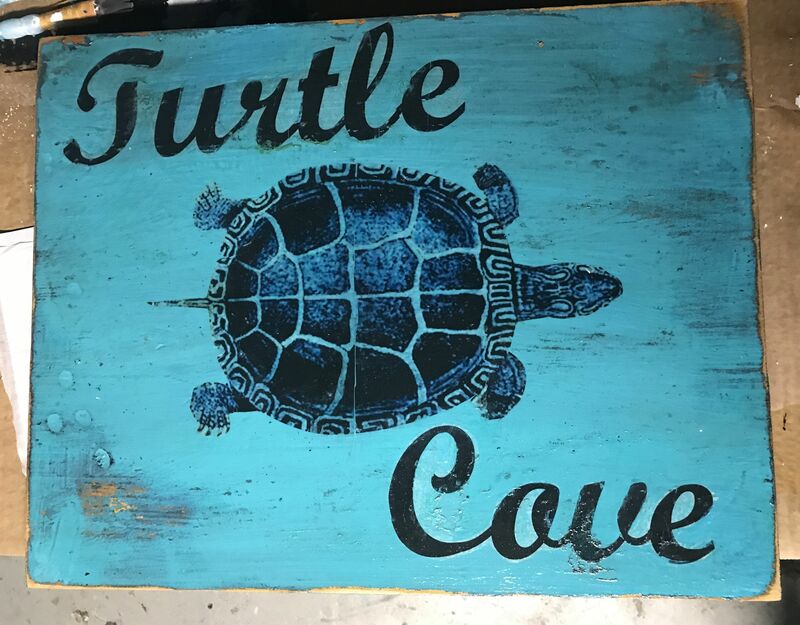 Whether it's an old crate, dresser, fence or just a piece of wood aged over time, it will become a fresh canvas for a fun fun sign. I often use the original faded patina of the wood or I paint and distress it to look as vintage as the wood it is on. Next I use colorful images and words which I then weather so it looks like it has stood the test of time. I seal it with a clear finish so it will keep it's beautiful mellowed appearance for many years to come. Lastly, a wire hanger is added on the back to give it an extra vintage, found in the attic, hand made feel. It's good to breathe new life into something old and worn that will add color, character and some whimsy to your life. If it makes you smile, then I have done what I have set out to do. 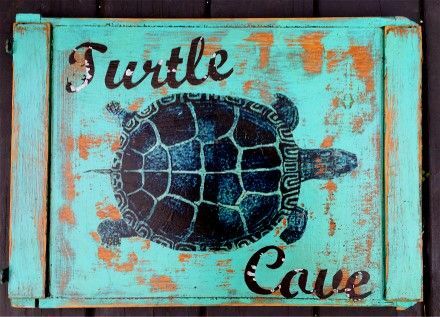 ~ Sometimes, these are made to order so there may be some variations from the sign shown. ~ since I have to work with the wood available to me at the time the order is placed, the wood could vary slightly and so can the size by a bit. I do my best to keep it as close to the sign pictured. ~I welcome custom orders and will usually have them made and ready to ship within 5 -7 days. So if you want a specific subject or word, color or saying, message me. I'll do my best ! ~Feel free to use the signs that I post to give you ideas for one you would like me to create for you or someone you care about. I will work with you to be sure I make just what you are imagining. ~ I can make any size too!